Chief Matt Basgall has served the Clovis Police Department for the last 24 years and was appointed to Chief January 1, 2014. Chief Basgall began his career with Clovis PD in 1990 after completing the Fresno Police Academy. 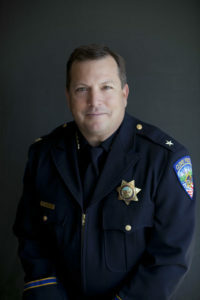 Chief Basgall grew up in Clovis and graduated from Clovis High School. He later attended CSU Stanislaus where he obtained his Bachelor of Arts degree in Criminal Justice. Chief Basgall is also a graduate of the POST Command College.